As my original daily driver has enough miles to get to the moon and is beginning to show signs of tiring, I decided to replace it. So a trip to Leeds early morning to go pick this up! 110 miles later, and through the 50mph hell hole that is the M6, I got her home! 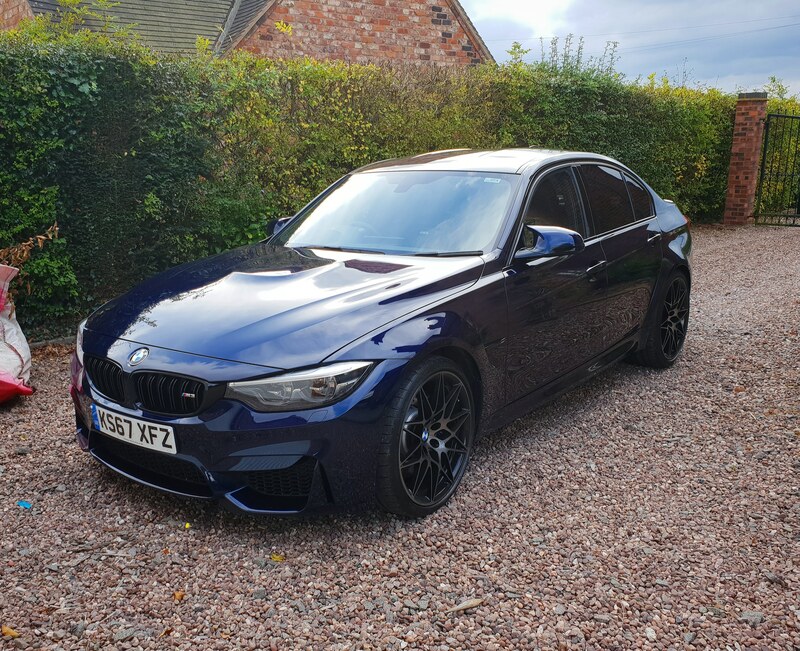 10 month old M3 competition pack in Tanzanite blue, packed with gadgets! Very happy! Thats nice! Bet it sounds good!? do the tyres have any air in them or are they solid ? With the road noise, I'm going to check! Ride is a little on the hard side, even on the comfort setting. I'll get some video clips this weekend, it's lovely! BMW have a habit of fitting run flat tyres, which have a very stiff sidewall, and give a firm ride. Edited by mab01uk, 11 October 2018 - 09:50 PM. That is lovely, and a stunning colour. Enjoy it. 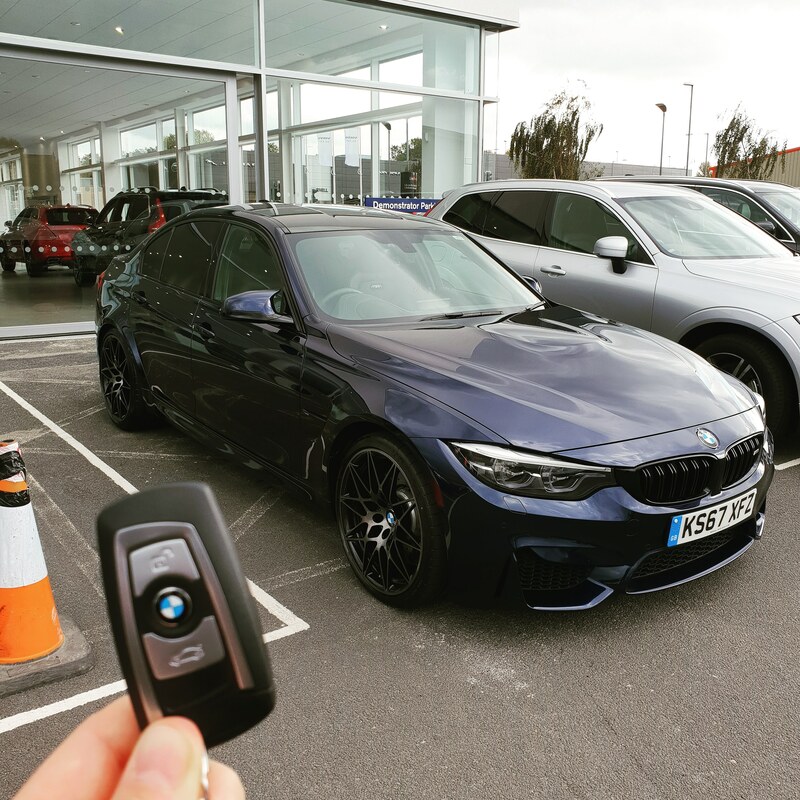 There have been some amazing deals on the M cars recently, especially the end of line M2. 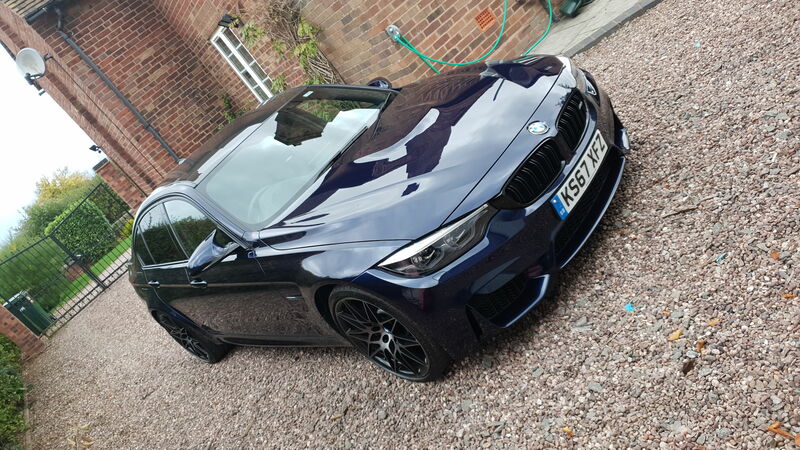 BMW don't fit runflats to the M or M Performance cars.